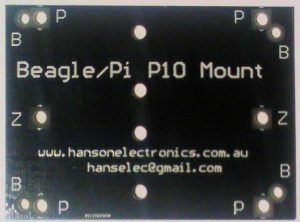 Designed to mount either a Raspberry Pi (and rPi-P10) or a Beaglebone Black (and Octoscrolla) direct to the M3 mounts on P10 and similar panels. 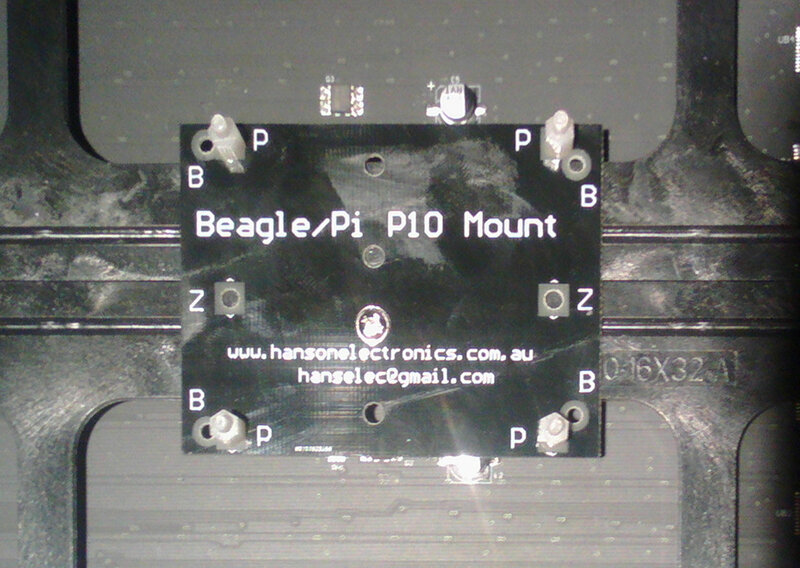 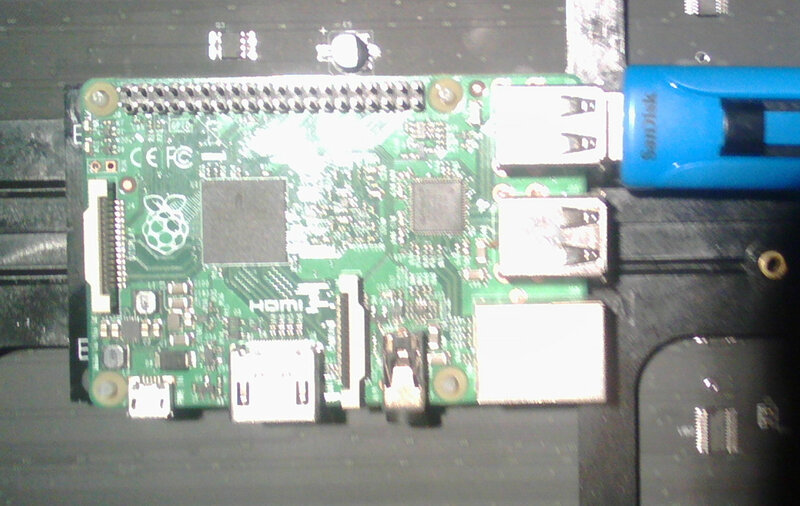 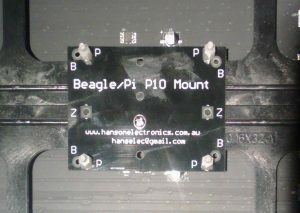 There are mounting holes to suit Raspberry Pi 2/3/Zero and also for BeagleBone Black. 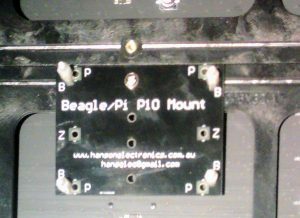 There are several mounting holes to allow the mount to span across 2 P10 panels or to be mounted behind 1 panel. 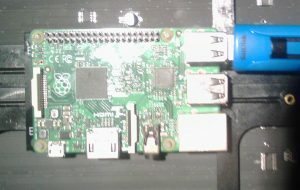 Raspberry Pi mounted so that it spans 2 panels. 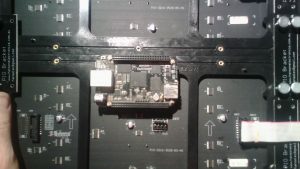 Beaglebone Black mounted entirely behind 1 panel. Depending on which board is mounted and the position chosen it may be necessary to put a spacer between the mount and the P10 panel. The use of M2.5 screws and standoffs is recommended. 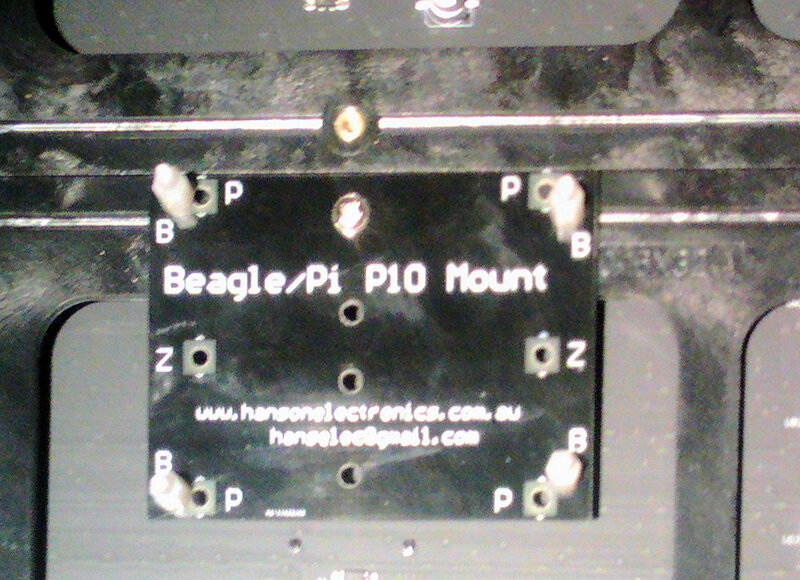 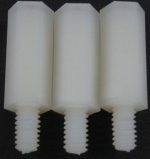 Instead of nuts fitted above the Pi/BBB the use of M2.5 standoffs is suggested. 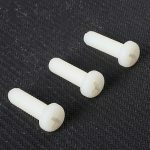 These can be finger tightened if necessary.